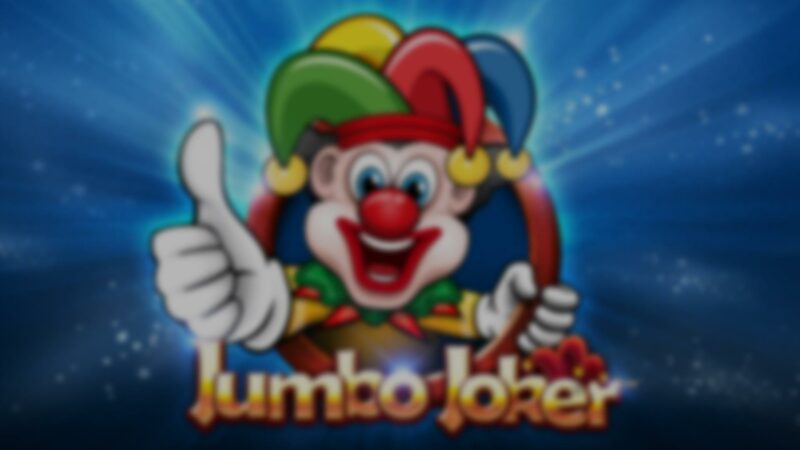 If you like a simple slot game, with not much going on visually, then move along buddy, this isn't for you… Betsoft's Jumbo Joker is a classic slot that looks so “busy” it might scare some away. I overcame my initial trepidation and took the plunge. I gotta admit that I'm glad I did, because it was a whole lotta fun! The Joker in this slot is less of a twisted psychopath ala Batman's nemesis and more of a court jester, so the mood is festive all the way. The feelings you get when you start this classic slot are the old school Vegas buzz of the basic fruit machines but taken to much higher levels. Each spin re-invigorates you, so get ready for a late night, because once you start, it might be a while before you stop. Being a classic slot, it only has 3 reels and 5 paylines, but don't let this deceive you – there are massive winning opportunities. The non-villainous joker is joined by the following symbols: Number 7, a bell, treasure chest, cherries, lemon, and watermelon. The joker has by far the highest value of the lot. Controls are intuitively placed on the bottom panel. From left to right: Mute, Choose Coin, Bet Amount, Max Bet Spin, Autoplay and Collect. The Autoplay function is a basic one but gets the job done nicely. There are not a lot of features in Jumbo Joker, but there is a lot of enjoyment. For that reason, I'm glossing over the features and moving onto something special. The one unusual feature of Jumbo Joker is that if you win more than 20 coins at any given time, it activates the Jumbo Meter. This gives you the option to either bank your winnings or gamble with them on the reel above. It's a nice extra that gets the blood pumping and the brain cells steaming with indecision. Your staking can be much more significant, which means you could give back your winnings, or, walk away with a lot more! The graphics and music are both bright and breezy. There's not much that can be done with classic slot symbols, but considering how many of them there are on the screen, it's all done exceptionally well. The music serves its gleeful purpose for a while, and the ambient noises actually do add atmosphere. Despite the amount of wild action, the game performs admirably. For a classic slot to win me over is no mean feat. Jumbo Joker has got the right feel and excitement levels to keep most players happy for a long time. So, give it s try – it definitely breathes fresh life into the classic slot genre!